What is a mechanical keyboard? It’s a keyboard built with high quality, typically spring activated, key switches, and attracts users who prefer a stronger tactile key response than the more common membrane keyboards you see in gaming today. The mechanical keyboard was made to resemblance a similar experience to a typewriter. Metadot are the creators of the premium brand of mechanical keyboards that is known as Das Keyboard, creating some of the best quality keyboards since 2005. 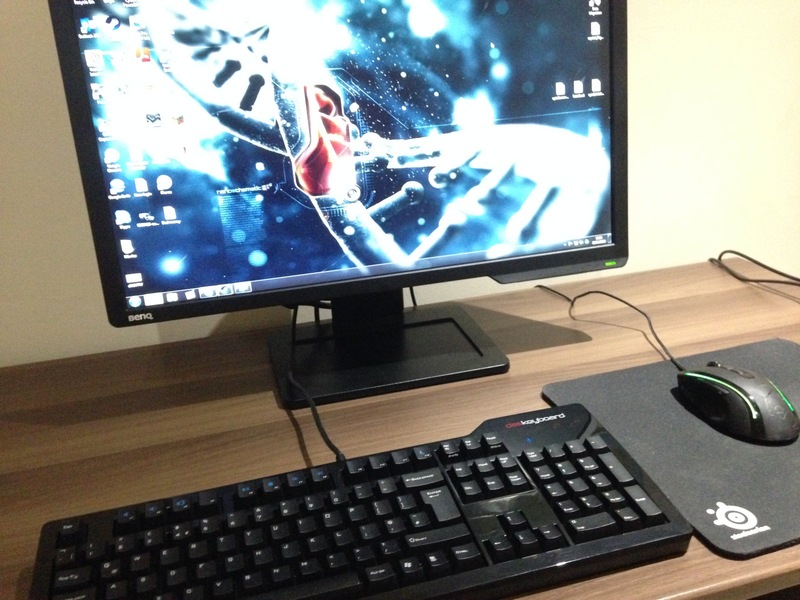 Today I will be reviewing the Das Keyboard Model S Professional Mechanical Keyboard for PC. Though the company have usually targeted the PC market, in 2012 Metadot released the Model S Professional Mac for those Apple lovers. Out of the box you’re welcomed by a large, chunky, 2.6 pound black-glossed slab. The reflective colouring makes it stand out and look extremely professional. There’s also a pop out stand at the bottom which creates an easy elevation for those who prefer it. The Model S Professional connects to the PC via a lengthy 6-foot USB cable that expands into two USB male plugs. One is for the keyboard itself; the other for powering the two USB 2.0 ports found on the right-hand side of the keyboard (see below). Although it doesn’t come with dedicated media buttons, it does have function keys that make this accessible. Das Keyboard also have a great looking media panel on their Das Keyboard 4 line. As well as this, the Das Keyboard 4 line replaces the USB 2.0 with 3.0 technology on the side of the keyboard. On first impressions, it’s obvious that Das Keyboard’s initial target market wasn’t the common gamer. The lack of macro keys and backlighting are shown in this. Although, this slick mechanical keyboard is an elite typist’s dream. My brown MX switches gives me a better feeling of typing than I’ve ever had. I love the responsive feedback I get when playing games like Counter Strike and DayZ. Moving on from the responsive feedback, gamers can also benefit from this. While I’m bashing my keyboard relentlessly, Das Keyboard equipped their keyboards with circuitry that permits five-key rollover. Meaning you can press up to five keys simultaneously, and the keyboard will still detect the discrete presses and accurately generate the appropriate characters. Take any FPS or MOBA and you’ll find yourself using this to your advantage. Mechanical keyboards are the way forward for anyone looking for great responsive feedback when typing. 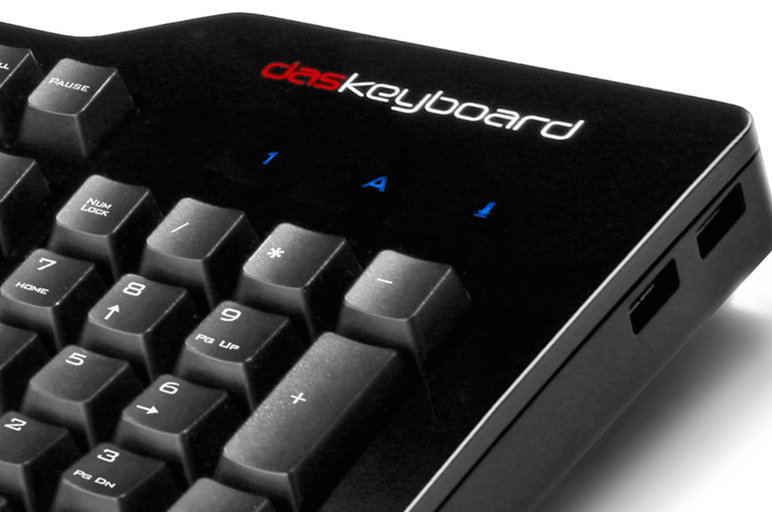 The Das Keyboard Model S Professional does not let you down in this department. Mashing your fingers against non-responsive plastic switches compared to the great high-endurance gold-plate brown switches used in the Model S Professional isn’t going to be good for your hands or your word-per-minute count. I’ve spent 2 months with this great piece of kit, and I couldn’t imagine going back to a membrane keyboard. There’s no question about the Das Keyboard Model S Professional being a fantastic keyboard, but deciding whether it’s right for you is another debate in itself. The lack of backlighting and macro keys may not suit the gaming enthusiast looking for the extra features. Plus there’s a premium price tag of £100.88 (Amazon UK)/ $139 (Das Keyboard US). Overall, if you’re looking for one of the best typing experiences and feelings on the market, the Das Keyboard brand is a touch above the rest of them. On the other hand, if you love your backlighting and extra keys to play around with, then this isn’t the keyboard for you.